At long last the second edition of SHADOWS OVER MAIN STREET is live and available for purchase. Click the link below to the Kindle version but don’t forget the paperback is also available for order! Release date for second edition of Shadows Over Main Street! The stars are right! You’ve seen the signs! One of 2015’s best-selling and most celebrated horror anthologies returns. 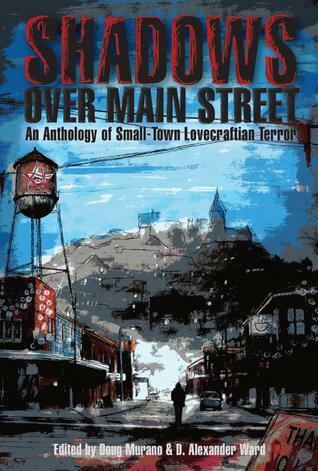 The second edition of Shadows Over Main Street: An Anthology of Small-Town Lovecraftian Terror rises from the depths on June 17th! With stories and poems by: Stephanie Wytovich, Nick Mamatas, Kevin Lucia, Chesya Burke, Brian Hodge, Mary SanGiovanni, James Chambers, Tim Curran, Aaron Polson, T. Fox Dunham, Richard Thomas, Gary Braunbeck, Adrian Ludens, Rena Mason, Lucy A. Snyder, Cameron Suey, Lisa Morton, Jay Wilburn, John Sunseri, and Josh Malerman. And a foreword by the legendary Ramsey Campbell.